In an ongoing effort to bring local government to the people of Darke County, Commissioner Mike Stegall will be holding a “Coffee with the Commissioner” meeting March 10th at Red and Ruth’s Tavern located at 101 South Main Street in Palestine. Commissioner Stegall will be there from 8:00 a.m. until 10:00 a.m. to answer any questions that people have concerning county government, or to inform people about happenings in the county. This is an opportunity to ask questions and discuss future plans for Darke County. Everyone is invited to attend and enjoy the morning with a cup of coffee with the Commissioner, and to interact with your County Officials. At the last several of these gatherings, other candidates for office, or elected officials have shown up to help answer questions. Everyone will enjoy the atmosphere and the chance to communicate with your local county government. These meetings are very informal and people can come and go as they please. Please join Commissioner Stegall on March 10th at Red and Ruth’s Tavern to discuss what is happening in the county. Eighteen year old Abigail Ball is your typical busy High School senior. At Sidney High Abby stays active in many clubs and organizations, is a varsity cheerleader and works part time at the YMCA. However, when the opportunity to join the Big Brothers Big Sisters organization came during the fall of 2010, Abby stepped up to be a high school mentor through the after school mentoring program, Big Buddies. During the course of the school year high school volunteers meet two times per month to offer guidance and support to local elemenatary students in need of a positive role model. Abby quickly realized the impact that she could have on the life of a child. As fall approached and senior year obligations, work and activites limited her time she was unable to commit to the structured schedule of being in the Buddies Program. So when Abby turned 18 in October she realized she could be part of the core program. Being in the core program allowed her to schedule activities with her assigned little around her busy schedule. In fall of 2011 Abby was matched up with 7 year old Mariah and the two have become fast friends. Mariah had a strong interest in cheerleading so when Sidney High offered a Cheer Clinic for youth interested in cheering in the future, Mariah jumped a the chance to participate. You can imagine the fun these two had cheering together at a halftime performance of a Sidney High Varsity game. Abby is truly making a lasting impact on the life of Mariah. Mariah is getting the opportunity to try new activities and see the hard work and dedication of a high school senior. In an effort to make more successful matches such as Abby and Mariah, Big Brothers Big Sisters is offering High School Bowl Mania this Sunday March 4th from 12:- 4:00 at Bel-Mar Lanes in Sidney and from 1:00 – 3:00 at McBos Lanes in Versailles. Any High School student wishing to participate my do so by calling the office at937-492-7611 or 937-547-9622 to register a time to bowl. Entry fee is $20 and will allow for one game of bowling, 2012 Bowl for Kids Sake t-shirt, plenty of food and one entry to win a Kindle Fire. High School Bowl Mania is a new component to our Bowl for Kids Sake fund raising event. Big Brothers Big Sisters of Shelby & Darke County is a nonprofit, United Way member, social service organization whose mission is to provide children facing adversity with strong and enduring, professionally supported one-to-one relationships that change their lives for the better, forever. The relationship is meant to guide each child toward becoming a confident, competent, and caring individual. Volunteer mentors are always needed. Anyone interested should call the office at 547-9622 or 492-7611 to obtain more information. Forms can also be found on the web at http://www.bigbrobigsis-shelbydarke.org/. This group will be a powerful tool to help parents to raise their kids to be all that God intended them to be! Join us on Wednesdays, March 7—April 11 from 6:30—8:30 p.m. at the Worship Center pod (trailer on the southeast corner of the Worship Center). Childcare is provided. Contact Bev Hughes at 467-3401 or bhfhouse@yahoo.com for more information. The Parenting Support Group is a ministry of EUM Church. Our worship services are Saturday at 6:30 p.m. and Sunday at 8:15, 9:45, and 11:15 a.m. at our Worship Center located at 1451 Sater Street (corner of Sater and Sebring-Warner Road) in Greenville, OH. The Downtown Campus, 111 Devor Street, houses our offices and preschool. For more information, go to www.eumchurch.org or call 548-3211. During this year the Museum Store at the Garst Museum will hold several one-day special sales. These sales are “just for fun.” The sales range from wacky off beat themes to more serious subjects. The sales will only be advertised via social media and at our kiosk at 3rd Street Market in Greenville. 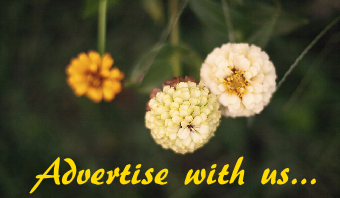 We hope you enjoy our promotions. You may always come in and visit the Museum Store without touring the museum by entering the glass doors [business office] entrance at the side of the museum complex. You may apply the special sales promotion with one other eligible discount. Our special sales for March are Friday, March 2nd and Wednesday, March 14th. 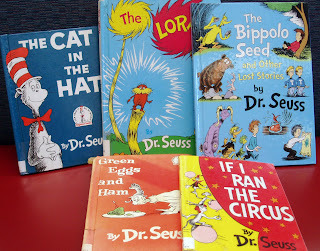 On March 2nd we celebrate Read Across America Day [Dr. Seuss’ birthday]. 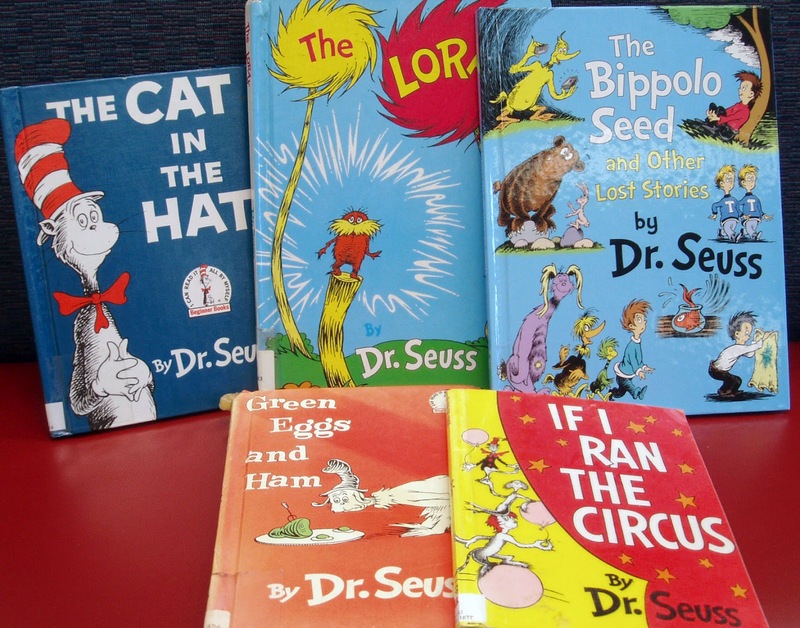 Mention your favorite Dr. Seuss book to the cashier in the store and receive a 25% discount on any one non-consignment book. On March 14th we will be observing Pi[e] Day! Name your favorite pi[e] whether it is peach, berry, apple, pizza or even the mathematical version and receive a 25% discount on any one non-consignment item. If you have not been in the Museum Store lately, there are several new book titles pertaining to the War of 1812 and the Civil War. We also have other new titles including The Lincoln Inaugural Train by Scott D. Trostel and several books on Native Americans. Richmond / Wayne County, Indiana Visitors Bureau. GREENVILLE – Billed as a one-stop shop for everything related to travel, the Fourth Annual AAA Travel Expo offered Central Ohio consumers information and EXPO-only deals, along with the best-ever travel values on everything from exotic cruises and European vacations to affordable escapes close-to-home. With more than 250 exhibits, attractions and events – including the Darke County, Ohio / Wayne County, Indiana exhibit - the EXPO was a destination in itself. Favorite travel spots came alive with interactive events and experiences that were as entertaining as they were helpful and educational. For more information on what to do and see in Darke County, visit the counties website at www.VisitDarkeCounty.org. Arcanum Historical Society has rescheduled guest speaker Rita Arnold to present “Ghost Stories” on Thursday, March 8th at 7:00 P.M. at the historical building. Mrs. Arnold is an author of several books on the subject of ghosts. She is well known for the tours of the “haunted” buildings in Greenville. Does she have ghost’s stories of Arcanum and surrounding communities? Be sure to attend the evening’s presentation and hear the interesting stories and a few surprises about the local community. All members of the society are encouraged to attend and the public is invited to come and hear Rita as well. As spring nears, the society is making plans for the Arcanum Old Fashion Days held in May and the Farmers’ Market that is held during the summer months. Members should be plan to be part of these activities. Volunteer to be part of the group meeting and working each Wednesday at the society building starting April 4th to May 16th creating Spring Garden Ladies, Tea Cup Bird Feeders and Spring Wreaths. to the website of the Historical Society at www.arcanumhistoricalsociety.org to learn the the history of Southern Darke County and about the present day historical society. Have you seen the full 2011 Greenville Police Department year end statistics? If not, click here to view them at the city's homepage. While there are some variance in a variety of different types of arrests and reports, the obvious change is a dramatic 47% decrease in the number of traffic stops and 52% decrease in stops that resulted citation or arrest compared to 2010. Narcotics reports were also down considerably. The Darke County Solid Waste District and 1 Shot Services recently sponsored a t-shirt design contest for Trash Bash 2012. Students in grades K-12 were eligible to enter the contest. The Darke County Solid Waste Policy Committee selected Kiteara Stellmach’s, of Ansonia, entry as the winner. Kiteara’s design will be put onto t-shirts that will be distributed to all participants of Trash Bash 2012. Kiteara also received a $75 Chamber Gift Certificate donated by 1 Shot Services, Bradford, Ohio..
Also receiving prizes for their artwork for the Trash Bash 2012 t-shirt contest were Shannon Wilds and Jose Moreno both from Greenville. Shannon received a $50 Darke County Chamber Gift Certificate and Jose received a $25 Darke County Chamber Gift Certificate sponsored by 1 Shot Services. “Trash Bash is becoming a huge volunteer event in Darke County. Hundreds of miles of roadway is being cleaned-up in two days.” stated Jim Schaar member of the Darke County Solid Waste Policy Committee. How can you participate? The Darke County Trash Bash is scheduled for April 21 & 22, 2012, rain or shine. The collection is set to begin at 8:00 a.m. The district is looking for numerous groups of 4 to “pound the pavement” at their assigned 2-mile locations picking-up bags of trash and recyclables. Clean-up groups can be started with friends from school, work, church, and volunteer organizations or clubs and there’s no age limit for volunteers. Call the district at 937-547-0827 to register your clean-up group or to offer in-kind support. Sign-up forms can also be found on the district’s website: www.co.darke.oh.us/solidwaste. Forms must be turned in by March 16, 2012. Each group will be given black bags for trash and clear bags for recyclables. For separating the recyclables from the trash, each group will be awarded $40.00 for participating. Awards will be given to Darke County non-profit organizations only. There is no limit to the number of groups that an organization can enter. County highway employees will follow assigned routes and will pick-up bags left on the targeted collection roads on April 23, 2012. WDTN is reporting that a man has been arrested in Huber Heights and is now in Darke County jail after a Darke County grand jury indicted him on charges of using the internet to arrange a sexual rendezvous with a 13 year old boy. Scott Messer, 22, is currently waiting arraignment on a charge of unlawful sexual conduct with a minor. You can read more at WDTN by clicking here. GREENVILLE – While it takes a village to raise a child, it takes a community partnering together to keep a historic treasure alive, such as Darke County’s historic Henry St. Clair Memorial Hall, located in Greenville. Memorial Hall, which celebrates its 100th anniversary in May, was awarded a $250,000 grant for façade repairs and exterior restoration by the Ohio Department of Development. This funding was secured through the collaboration of the City of Greenville, Greenville City Schools, Darke County Endowment for the Arts and Main Street Greenville. The matching funds were provided through permanent improvement funds of Greenville City Schools, who owns the building, and by Darke County Endowment for the Arts. The City of Greenville applied to the Ohio Department of Development for a Community Development Block Grant (CDBG) Discretionary Program Tier 3 on behalf of Greenville City Schools with assistance from Mote and Associates and Susan Schepis, Grants Specialist. The $250,000 matching grant will preserve multiple aspects of Memorial Hall. Renovations include restoration and repairs of the front façade and reinforcing the façade structure by repointing mortar joints and repairing deteriorating cast stone. Structural improvements will be completed in the attic and damage caused by excessive moisture in the building over the past 100 years will be addressed. With cooperative weather, officials anticipate construction will commence in May and the major parts of the renovation will be completed before school starts in late August. A Centennial Celebration for Memorial Hall organized by the Darke County Center for the Arts (DCCA) and local citizens will be held May 4-6, 2012. Building tours will be offered on Friday evening May 4, and musical selections, which were performed at Memorial Hall’s dedication on May 3, 1912, will be featured. A building used for educational and cultural purposes was the dream of Henry St. Clair, a man who moved to Greenville in 1872 and opened Darke County’s most successful wholesale grocery business. St. Clair served the community as a member of Greenville’s school board and as a city councilman. He and his wife Ella Van Dyke St. Clair contributed generously to local community needs. St. Clair’s final gift to Darke County was leaving $100,000 in his will to the Greenville Board of Education to build Memorial Hall. Construction on the building began in June 1910 and was completed in 1912. The project cost $135,000 in its entirety, and St. Clair’s wife, Ella, paid the remainder. For more information about the Centennial Celebration, contact DCCA at 547-0908 or visit their website at www.centerforarts.net. March is no ordinary month for Community Blood Center (CBC) donors. March Madness basketball holds court all month, St. Patrick’s Day celebrations go all day, and your luck may never run out when you give the gift of life and take home a charmed shamrock t-shirt. 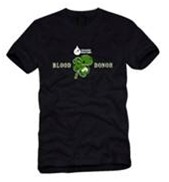 Beginning Monday, Feb. 27 through Saturday, March 17 everyone who registers to donate blood at all CBC branches and most CBC blood drives will receive a black “Blood Donor” t-shirt featuring a green shamrock, the national emblem of Ireland in honor of St. Patrick’s Day, March 17. Spring arrives March 20 but sometimes Old Man Winter doesn’t get the message. Bad weather can disrupt blood drive schedules, but CBC rarely closes. Donors can support CBC by calling a CBC branch or visiting www.givingblood.com with questions about eligibility, schedules and operating hours. For most people low blood sugar is less than 70 mg/dl. If you are having symptoms of low blood sugar, you want to check your blood sugar right away. Symptoms of low blood sugar may include being: shaky, fast heartbeat, sweaty, dizzy, anxious, hungry, blurry vision, weak or tired, headache and nervous. Low blood sugar, called hypoglycemia, may be caused by 1) take certain medications and eat too few carbohydrates, or skip/delay a meal, 3) take too much insulin or diabetic medication, 3) you are more active than usual. It is best to treat low blood sugar with 15 grams of fast fasting carbohydrates like 1/2 cup fruit juice or regular pop, 4 glucose tables, glucose gel, 3 to 5 hard candies that are chewed quickly or glucose drinks. Waite 15 minutes and treat with another 15 grams of fast acting carbohydrate if you are still low. Have a small snack if you will not be eating your next meal for an hour or more. Candy Bars, ice cream, chocolate or other desserts are not the best choices to treat low blood sugar. They contain a lot of fat which will slow the release of glucose and will not raise your blood sugar fast enough. If you are interested in learning additional ways to help improve/maintain your blood sugar levels consider attending Group Diabetes Classes at Wayne HealthCare. This program will provide you with the knowledge to help make healthy lifestyle decisions regarding your management of diabetes. The classes are for individuals who are newly diagnosed and individuals who have had diabetes for years. Group classes meet once a week for four weeks. During the classes you will learn the following: 1) facts associated with diabetes, 2) the relationship between diabetes and healthy eating, 3) the value of monitoring and using the blood glucose results, 4) the importance of exercise, 5) how diabetic medications work, and 6) ways to reduce risk of complications. The cost of each class is $10 or $40 for the series of four classes. 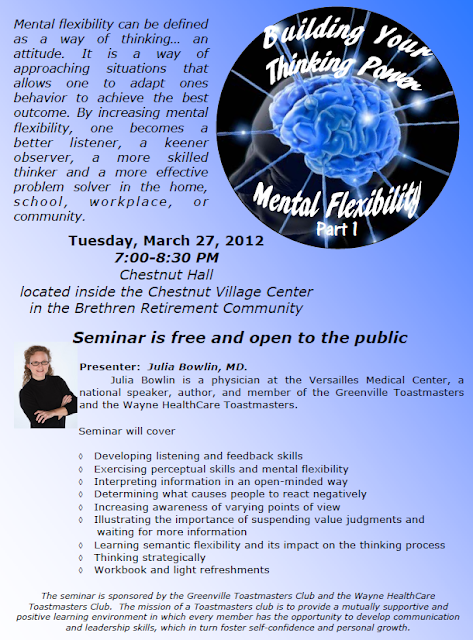 The next group classes will be held March 7, 14, 21, and 28, 2012 from 9 am-11 am. Pre-registration for the classes is required. If these dates do not work with your schedule, the classes will be held at alternating times throughout the day. Morning classes will be held from 9 am-11 am in March, June, October and December. Afternoon classes will be held from 1pm -3 pm in April, July, August, and November. Evening classes will be held from 6pm-8pm in May, and September. If you prefer to meet individually with the Certified Diabetes Educator, you can receive education regarding Diabetes Self-Management Education (DSME) and Medical Nutrition Therapy (MNT). For more information regarding the programs offered by Wayne HealthCare Diabetes Self Management Program please call 937-547-5750. During March, the American Red Cross is asking everyone to help people in need by supporting the lifesaving services it provides. March is Red Cross Month, first proclaimed in 1943 by President Franklin D. Roosevelt. Since that time, every president, including President Obama, has designated March as Red Cross Month. The American Red Cross is synonymous with helping people, and has been doing so for more than 130 years. Here in Darke County, the Red Cross is “just” ninety-five years old, helping literally families throughout the generations. The Red Cross responds to nearly 70,000 disasters a year in this country, providing shelter, food, emotional support and other necessities to those affected. It provides 24-hour support to members of the military, veterans and their families – in war zones, military hospitals and on military installations around the world; collects and distributes more than 40 percent of the nation’s blood supply and trains more than 9 million people in first aid, water safety and other life-saving skills every year. Here in Darke County area, the Red Cross responded to twenty-six local emergencies, assisted over two-hundred military families and trained 1,400 people in lifesaving skills. Not to mention the hundreds of people who were helped by community programs such as information referral or the hundreds of families who received information on how their family can prepare for disasters. The Darke County Chapter has a number of activities planned for Red Cross Month, including an Open House on March 1st, Save A Life Saturday on March 10th and their marquee fundraiser on March 31st, “A Night of Comedy and Caring”. Additionally, they are working with area schools on “Raising the Red Cross Flag”, through-out the month. Keep watching local media outlets for updates and details on events. The American Red Cross shelters, feeds and provides emotional support to victims of disasters; supplies more than 40 percent of the nation's blood; teaches skills that save lives; provides international humanitarian aid; and supports military members and their families. The Red Cross is a not-for-profit organization that depends on volunteers and the generosity of the American public to perform its mission. For more information, please visit redcross.org or follow the Darke County Red Cross on facebook and twitter! Greenville based Wave96 has entered into an agreement with the Dayton Silverbacks indoor football team to stream their games online this season. Wave96 recently completed the first season of streaming Dayton Gems hockey and are continuing to add more sports to their broadcast slate. You can read all about it by clicking here. The Silverbacks open their season on March 11 at Hara Arena (and broadcast on Wave96) against the Indianapolis Enforcers. Darke County Ducks Unlimited 2012 Banquet and "Run for the Gold"
The Darke County Chapter of Ducks Unlimited is holding it's 7th annual "Guns and Buns Bash." This years event will be held March 24, 2012 at the Greenville V.F.W 7262 located at 219 N. Ohio Street. Banquet doors open at 5:30. Cocktails hour will start then with dinner being served around 6:30pm. Tickets are $40/single, $20 for a spouse ticket and $15 for children 17 and under. Tickets are pre-sale. Get your ticket early, a limited number are being sold and going fast. Contact Shawn Brandenburg 937-417-2951 or online at www.darkecountydu.com for tickets or to make a charitable donation. Your ticket includes your dinner and some drinks, 1 yr. Ducks Unlimited membership and chances at a handful of door prizes. Purchase your ticket before March 12 and receive FREE tickets on the Sportsman's Raffle ($40 value).Come early for the chance at buying a "Super Duck" raffle ticket for a limited chance raffle. Only 52 will be sold. Many limited chance raffles throughout the night. The atmosphere is family friendly. Don't miss out! The event will again have the Sportsman's Night out raffle theme. There will be raffle tables dedicated to Waterfowl, Deer and Turkey and Predator hunting as well as a Gun and Fishing table and don't forget about our Ladies table! That's 7 separate raffle tables! There will also be opportunities for many other raffles throughout the night. We will also be having a live and silent auction. Items up for auction include guns, prints and fishing and hunting trips and much more. 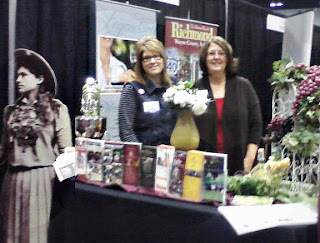 The 2011 event was a huge success. So successful that the Darke County DU chapter will be making a "Run for the Gold." The local chapter has already been awarded the Bronze DU Presidential Citation Award (2010) as well as the Silver DU Presidential Citation Award (2011). To achieve the Gold Presidential Citation Award the chapter must show a 5% growth in attendance and a 5% growth in fundraising for the third consecutive year. This award has NEVER been won in the state of Ohio! Please come out and support your local DU chapter make history! Ducks Unlimited is the world's leader in wetlands and waterfowl conservation. Ducks Unlimited conserves, restores, and manages wetlands and associated habitats for North America's waterfowl. These habitats also benefit other wildlife and people. Ducks Unlimited got its start in 1937 during the Dust Bowl when North America’s drought-plagued waterfowl populations had plunged to unprecedented lows. Determined not to sit idly by as the continent’s waterfowl dwindled beyond recovery, a small group of sportsmen joined together to form an organization that became known as Ducks Unlimited. Our mission: habitat conservation. Help us celebrate DU's 75th birthday! The Darke County Friends of the Shelter received a grant from the Lydia E. Schaurer Memorial Trust. The grant was to assist in funding the future dog park in Darke County. The dog park will be located on County Home Rd., just south of the Darke County Animal Shelter. 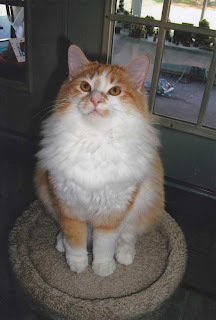 The Darke County Friends of the Shelter is a 501© 3 non profit organization that provides extra amenities for the cats and dogs at the shelter. Contributions for the dog park can be made at the Darke County Animal Shelter located at 5066 County Home Rd., Greenville, Oh. For more information contact the animal shelter at 937-547-1645. The Tiger Boys bowlers competed in Middletown on Friday followed by the Girls on Saturday. Both Districts were held at Eastern Lanes in Middletown. There were 24 teams competing from the Southwest District. 4 Boys Teams and 4 Individuals along with 5 Girls Teams and 5 Individuals would qualify for the State Tournament in Columbus. "Both teams had a good chance of moving onto the State Tournament, but they really needed to be firing on all cylinders as the Southwest District is knows as the toughest District in Varsity bowling." The boys were still in good shape after game 2 and needed to post a good score the 3rd game and finish strong in the Baker games. Unfortunately, the 3rd game they posted an 881. With their first 2 games of 953 and 951, this gave them a total score of 2,792 and in 12th position going into the Baker games. "We were about 200 pins out of the 4th position, but we were not out of it. The last 2 years, these boys have never given up when the odds were against them and most of the time have prevailed." The first 3 games, the right combination could not be found and they rolled games of 160, 167 and 183. A lot of teams at this point would have thrown in the towel. However, the boys rolled the high baker game of the tournament with a fine 266. They then finished with a 165, 182 the last two games and remained in 12th out of 24 teams. "The boys had a fantastic year and I really hated to see it end for them at Districts. They kept fighting until the end and cannot be more proud of how this team performed this year!" The top 4 teams advancing to the OHSAA State Tournament were: Beavercreek, Kettering Fairmont, Kenton Ridge and Troy. The Tigers were led by Nathan Peters with a 615, Jordan Groff with a 597 and Michael Davidson with a 586. On Saturday, the girls were also going up against some very good teams. "The key to us moving on to State was to filling frames and to not give away too many pins with missed spares. The pin carry was extremely difficult in this bowling center due to the longer oil pattern on the new synthetic lanes." The girls started out with 825 to put them in 14th after the 1st game. The second game they were able to figure some things out and roll a nice 882 to jump them up to 9th place. Going into game 3, the girls were only 45 pins out of the 5th qualifying position. "Their spirits were high and the girls were having a blast. I was extremely impressed with their determination and drive today." The 1st 3 frames of the 3rd game started out a little rough as the girls ran into split trouble and had some issues converting spares. They ended up the 3rd game with 783 and were in 12th position going into the 6 Baker games. "We are only 130 pins out of 5th and their is no doubt you girls can make up these pins." The girls came out very strong the 1st two games by rolling 205 and 196 which took them up a few spots. They struggled a little bit the next few baker games by rolling 158, 158 and 165. The last game was a nice 180, but was not quite enough to make it to the top 5. The girls ended up missing the 5th position by only 125 pins. They beat their year team average by about 75 pins and averaged 18 pins higher in each baker game, but was not quite enough. "What a great season for these girls! 10-3 for the season, broke several school records and were Sectional Champions for the first time ever." The top 5 teams advancing to the OHSAA Girls State Tournament were: Fairfield, Beavercreek, Stebbins, Xenia and McAuley. The Tigers were led by Joanna Cruz with a 200, Haylie Schlater with a 186 and Megan Monnin with a 181. The Greenville Schools Foundation asks members of the community to join in supporting the Greenville City Schools renewal levy. The renewal dollars are much needed with federal and state funding being cut. This funding will help the district to continue academic and extra-curricular programming as it currently exists. Let's help our school keep its excellent rating. The Hottest Arts Ticket in Town: Local Girl Scouts Attend Night at the Opera! Brooke Perreira and Marissa Marburger. FEBRUARY 24 – For 24 years, Dayton Opera has opened its doors to Girl Scouts and their leaders for a special behind-the-scenes experience. It’s a community outreach that introduces opera to the next generation. This year was no different with 250 scouts and leaders attending on Friday night and a second performance added on Sunday. Girl Scout troops including Troop #31293 from Greenville attended the Friday evening performance of Charles Gounod’s ‘Romeo and Juliet’ after completing backstage workshops in wig and make-up design, dance, music and voice. 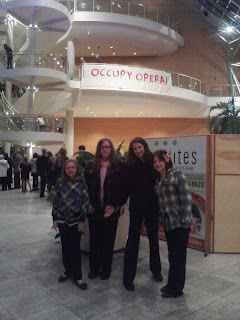 By completing backstage workshops and attending the Friday evening performance, Girl Scouts from all over the Miami Valley including Greenville, met several badge requirements on the junior and cadette levels, as well as earn a commemorative badge from the Dayton Opera. This night gives the girls the opportunity to see how a production is put together and how the parts come together like a jigsaw puzzle. Set designers explain through a backstage tour how cables and light fixtures function on stage. Make-up artists from the current performance paint the faces of one young scout according to the characters in that opera. Dancers from the Dayton Ballet perform and teach an interactive dance. “Since the opera was performed in French, the language of the musical composer, the girls learned several words in a different language as well as a song about a lark, Alouette,” shared York. For more information on Girl Scout Night at the Opera, contact Mindy Wallace at 228-7591, ext 3039 or mindy.wallace@victoriatheatre.com. For more information on Girl Scouts of Western Ohio, visit www.GirlScoutsofWesternOhio.org. 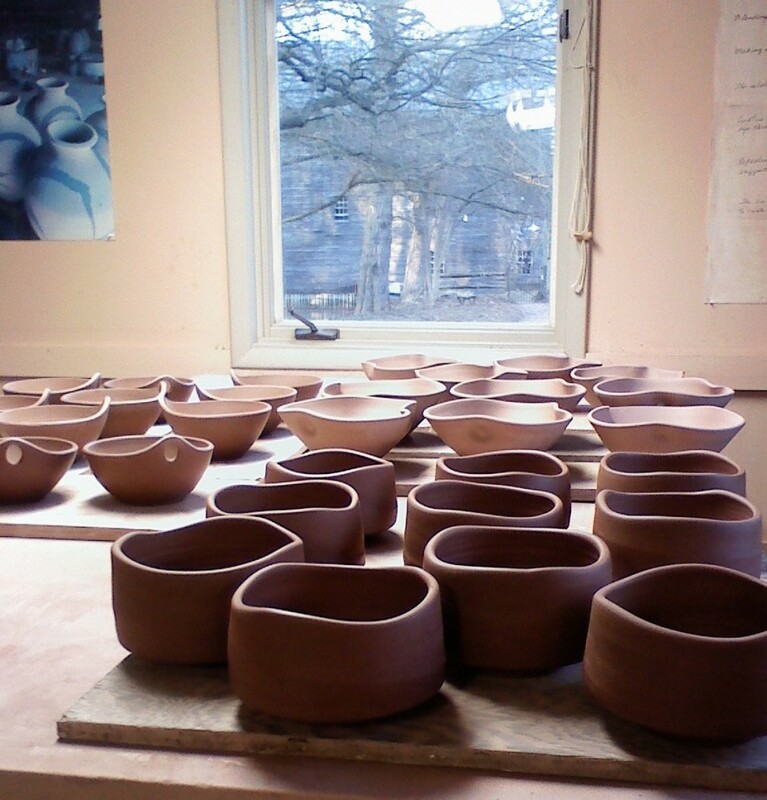 Historic Bear's Mill's new fundraising event “Soup 'N' Bowl,” to be held on Saturday, March 10, will feature handmade bowls created by artists who are donating their work to benefit the Mill. Potters Julie Clark, Ben Deeter, Dionne Fleming, Rita Wiley, and Loretta Wray will craft 164 numbered bowls, one for each year of the Mill's existence; therefore, these pieces will bear numbers ranging from 1849 through 2012. Each “Soup 'N' Bowl” participant is entitled to a stoneware bowl as well as to supper, which includes soup, bread, drink, and dessert. Each of the participating potters brings a unique sensibility to the craft, as well as an appreciation for Bear's Mill and it's heritage. Resident Bear's Mill artist Julie Clark has lived and worked at the historic site for over thirty years, and is inspired by the beauty and heritage which surrounds her. However, Julie also enjoys the challenge and allure of contemporary design; her artistic pairing of these disparate elements helps her work remain relevant as well as highly regarded even as it changes and evolves. Rita Wiley, a teacher who lives in Indianapolis, started producing pottery with Ms. Clark even before Julie and her husband Terry moved to Bear's Mill; the friends share basic motivations and values, and have formed a working relationship which fulfills their artistic goals and reinforces their basic creative bond. Rita finds a purity of purpose in utilizing the universal elements – earth, air, fire, and water - to construct pieces which are aesthetically appealing, yet useful, an ideal in keeping with the spirit of Bear's Mill. Loretta Wray also appreciates the Mill's connection with nature and the past, elements which are also inherent to the graceful yet functional pieces she creates. The Troy native feels a relationship with those who purchase her pottery, and wants those people to also experience that connection which reaches past the artist to the earth from which they clay pieces are formed. Shortly after Versailles resident Dionne Fleming began working at the Mill store several years ago, she was invited into Julie Clark's studio where she honed her innate skills to become a colleague to her mentor. “I watch Di's raw talent grow each day that she works in the studio,” Ms. Clark proudly stated. Dionne produces work which emphasizes simple, natural shapes and surfaces while exploring the endless possibilities offered by clay as a creative medium. The newest addition to the Bear's Mill potters, Ben Deeter, is the only formally educated artist of the group; however, like his cohorts, he integrates historical and contemporary concepts into his work. Ben strives to incorporate the basic artistic elements of movement, rhythm, harmony, balance, and line into each of his pieces, altering forms on the wheel or highlighting spontaneous natural occurrences while using a variety of firing and glazing techniques. Roots musician Brian Keith Wallen will provide entertainment at “Soup 'n' Bowl, performing songs from the folk, bluegrass, jazz, and blues traditions. Soup is donated by The Bistro Off Broadway in Greenville, and bread will be provided by Troy's Bakehouse Bakery. Additionally, the stoneware bowls will be of varying sizes and styles, featuring a variety of glazes; they will be made in sets of eight so that patrons wishing to purchase matching bowls may do so. Tickets for the event are available at the Mill and cost $25 each or $20 for members of Friends of Bear's Mill, the non-profit organization which operates the Mill; serving times are 5 p.m., 6:30 p.m., and 8 p.m. To reserve tickets, call 937-548-5112; more information is available at www.bearsmill.com. Bear's Mill is located at 6450 Arcanum-Bear's Mill Road about 5 miles east of Greenville. The Greenville program will be offered for youth in grades 1-6 on Sunday evenings starting June 10 through July 29 at the Greenville City Park Tennis Courts. The Futures program for students entering grades 7-8 will be held on Tuesday evenings starting June 12 through July 24. The deadline to register is May 11, 2012. Visit www.midwestteamtennis.com to sign up for the program and for more details. Volunteers and coaches are necessary to the success of the program. For more information regarding signing up online or helping as a volunteer/coach, please contact Suzanne Brown at tbrown2@woh.rr.com. Thanks to 2012 sponsors Second National Bank and Steve Litchfield of Edward Jones. Other corporate sponsors are needed, and if interested in supporting this program, please contact Suzanne Brown at the email address listed above. We Have Waited All Season for This Event! The music of Glen Miller, Guy Lombardo, the Dorsey Orchestra, and so many others were played at the famous Crystal Ballroom. Some times by the original bands, but more often by the Baltes Orchestra or the Bumble Bees. These are just two of the amazing local bands that graced the stages of this magnificent facility right here in the heart of Wayne Township and Frenchtown, Ohio. From the late 1940’s the Crystal Ballroom was the place to be to hear the newest music, to try out the newest dance and to see old friends and to celebrate life. We are fortunate to have an afternoon to reminisce about those bygone days of the Big Bands and the wonderful people who made it all happen. Earl and Berneicee Baltes, Susie Baltes Barga, and Jimmie Baltes along with Ann Subler, will share the stories, recall the entertainers and let us in on all the “back stage” drama that couldn’t be shared until now! This event is free and open to the public. So join us at St. Denis located on the corner of Wood and East Streets. An elevator is provided off of the parking lot for those who might need it. Following the program our museum will be open until 6:00 p.m. for touring with new displays being added all the time. The Museum at Versailles is located at 552 S West Street in Versailles. Plan now to join us for what is certain to be an event not to be forgotten as we “Remember the Crystal Ball and Life in Frenchtown”, one of the most famous crossroads in the Midwest! WHIOtv.com has a report today on a weekend home invasion that occurred in Mercer County. According to Mercer County Sheriff Deputies, 2 men and a woman forced their way into a home on Dutton Road after midmight Saturday night. One man was weilding a gun and threatened to kill the two people present at the time, William Fair, 79, and his daughter, Kathy Fair, 47 and attempted to bound them with duct tape. The suspects fled in a dark colored SUV with a loud exhaust. WHIO reports that "Investigators are treating the case as if it is connected to the Grube double homicide that happened in Fort Recovery last November." Click here to read the full story at WHIOtv.com. If you have any information about either of these crimes, please contact the Mercer County Sheriff's Department at 567-890-8477. Life has been rough for Lauren Harman, the young woman Pastor Steve Harman of Living Waters Ministries Community Church in Versailles refers to as his "daughter-in-love." 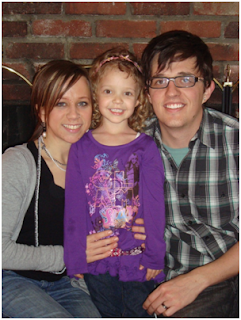 Lauren is married to Pastor Steve and Amy Harman's youngest son, Andrew, and along with their daughter, Lily, live in Kansas City, Missouri, where they are missionaries with the International House of Prayer. Lauren began noticing rashes, itching and burning about three years ago. "You know, who thinks about a rash?" Pastor Steve said. "You just think maybe something irritated you, you have an allergy, and maybe you ignore it and move on." But Lauren's doctor became concerned and continued to study and do tests. Lauren was diagnosed with cancer -- cutaneous T-cell lymphoma. This is a very rare form of lymphoma. For Lauren, it manifests itself in rashes and welts and what Amy calls "hives on steroids." Lauren suffers from itching, burning and pain. Because of the discomfort, she also suffers from insomnia. Sometimes she doesn't fall asleep until early in the morning. "Sometimes Lily will call us at 9 in the morning," Pastor Steve said. "I'll say, 'What are you doing, Lily?' and she's say, 'I'm in bed here with Mommy.'" Lauren, the daughter of Pastor Jeff and Kim O'Guin -- Jeff is pastor of Mount Zion Church in Beavercreek -- is on two main medications: chemotherapy and a gene-targeted therapy which guides the chemotherapy to where it is needed. These therapies provided relief for Lauren in just a couple weeks' time. Unfortunately, the gene-targeted therapy has not yet been approved by the FDA and is not covered. Lauren and Andy pay about $5,000 out of pocket monthly for that and some other needed medical expenses. St. Paul Lutheran Church, Willowdell, will hold its annual Pancake-Sausage Brunch from 11 a.m. to 1:30 p.m. Sunday, March 4, as a benefit for Lauren. Whole-hog sausage, pancakes, scrambled eggs, juice, coffee, tea and water will be on the menu. This is a free-will offering, and the final amount will be given to Lauren and Andrew for medical expenses. Pastor Steve and Amy, as well as Lauren and Andy, are amazed at the miracles that have taken place -- and their own spiritual growth -- during Lauren's "walk through fire." Judge Jason Aslinger and his family recently met with a crowd of supporters at a rally held at Montage Cafe in downtown Greenville on Saturday. With just a little over a week left in the campaign for Juvenile/Probate Judge, Aslinger acknowledged the hard work and dedication his supporters have provided and asked they continue as they push towards the finish line. The Candidates' Forum sponsored by the League of Women Voters of Darke County will be broadcast on GPAT following the event, Monday, February 27. If you were unable to attend the Candidates’ Night, please be sure to tune into Greenville Public Access Television (GPAT), Channel 5 , Thursday, March 1 @ 7 p.m.; Friday, March 2 @1 p.m.; Sunday, March 4th @ 1 p.m. and Monday, March 5 @ 9 a.m. The program will be broadcast in its entirety. The candidates were videotaped and those citizens unable to attend the Forum will have an opportunity to view the candidates and hear their responses to questions. The program will be about 2 hours. The event begins with very brief introductions by unopposed candidates and presentations on the local issues by a member of the League. Darke County Common Pleas Judge (Juvenile/Probate Division), (Vote for one): Jason Aslinger ( R), incumbent) or James Detling (R). Darke County Clerk of Courts (Vote for one): Amanda Farley (R) or Cindy Pike (R), incumbent). Darke County Commissioner (Vote for one): Diane Delaplane (R), incumbent) or Aaron Ward (R). PLEASE REMEMBER TO VOTE, TUESDAY, MARCH 6! 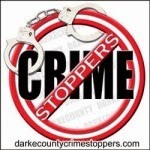 On February 27, 2012 at 6:46 AM, Darke County Deputies along with Versailles Fire and Rescue were dispatched to a one vehicle, injury crash in the 9300 block of Conover Road. Investigation revealed that the driver, Macy Dirksen, 16, of Bradford, was driving a 2003 Mercury Grand Marquis northbound on Conover Road when she lost control of her vehicle and drove off the right side of the roadway. The vehicle struck and sheared off a utility pole and then struck a large tree. Careflight was called to the scene and transported Ms. Dirksen to Miami Valley Hospital where she is listed in stable condition. The accident remains under investigation by the Darke County Sheriff’s Office. It's Pumpkin, formerly of the Darke County Animal Shelter. I was looking for a new home last Thanksgiving, and guess what, I found the perfect one. I can't believe my good fortune. Have all the love any pet could ever need. And not only that, I have a new best friend, Purrcy to play with, too. Thanks to everyone who inquired about me and to the people at the Darke County Animal Shelter who took such good care of me till I found my new forever home. On February 26, 2012 at approximately 10:34 AM Darke County Deputies, along with Union City Fire, Union City Rescue and CareFlight were dispatched to the 1700 block of State Route 571 in reference to a single motor vehicle injury accident. Preliminary investigation revealed a gold 1995 Oldsmobile Cutlass-Supreme, driven by Teresa R. Mendenhall, 39, Portland, Indiana was eastbound on State Route 571 west of Fisher-Dangler Road. Mendenhall’s vehicle traveled off the right side of the roadway and struck a ditch, causing the vehicle to go airborne. Mendenhall’s vehicle rolled over in the air before striking a second ditch, causing the vehicle to travel into a utility pole before coming to a rest in a private drive. Mendenhall was airlifted to Miami Valley Hospital by CareFlight, where she is listed in stable condition. Mendenhall’s passenger, Muro B. Gomez, 39, Union City, Indiana refused treatment at the scene. Mendenhall and Gomez where wearing seatbelts. 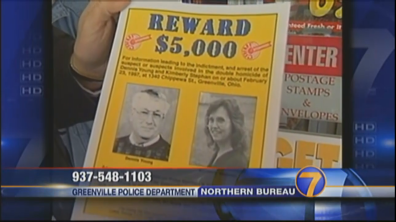 WHIOtv.com filed the below report on yesterday being the 15th anniversary of the double homicide of Kimberly Stephan, 33 and Dennis Young, 55 in Greenville. It's a crime that remains unsolved. Click on the image below for details from WHIOtv.com, and if you have any information relating to this crime, please contact the Greenville Police Department at 937.548.1103. “All About Owls” was held at the Nature Center at Shawnee Prairie and what a great evening it was! The program began with everyone in attendance heading out to look at a pair of Great Horned Owls that are nesting right outside of the Sugar Shack. Then the group headed back inside where Naturalist, Robb Clifford gave a very informational program on special adaptations that owls have and what types of owls we find in Ohio. The participants were then given a quiz over the owl calls that they learned and some were able to identify all of the calls they had just learned. To finish up, the group set out on a night hike to call in an Eastern Screech Owl. The call was played several times with no response. Just as the group was heading back up the path towards the Nature Center, a screech owl began to call back several times. The whole group was able to hear the owl calling. What an awesome way to end the evening! 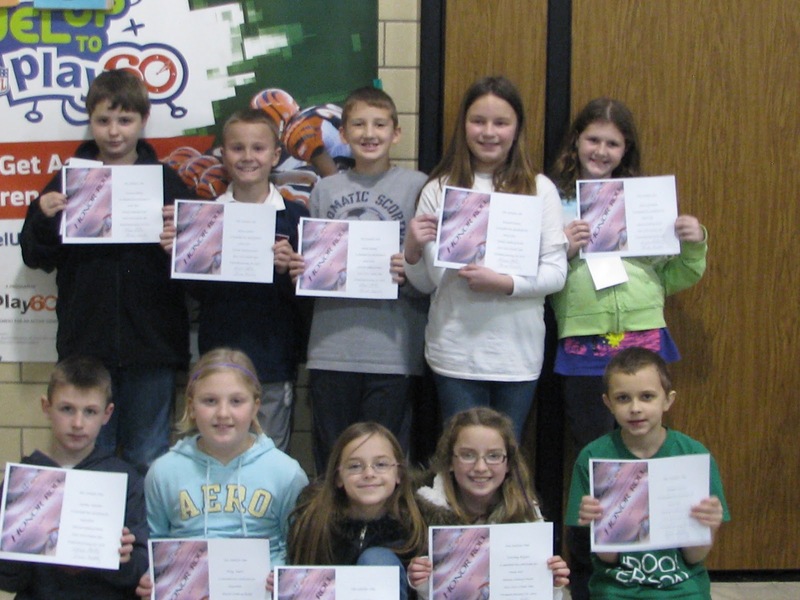 Celebration awards were held on January 27 at East School. The theme of the Celebration Awards was “More.” The principal and teachers have challenged East third and fourth grade students to give “more” both behaviorally and academically. As students entered the gym for the award ceremony, Usher’s song “More” was playing. Special attention was drawn to the lyrics that read, “…bring out the fire, and light it up, take it up higher, gonna push it to the limit, give it more.” Students then danced to the song. 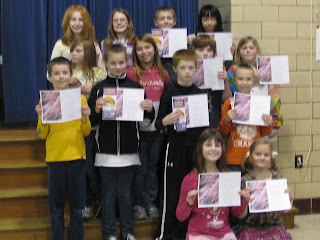 During the ceremony, those third and fourth grade students with no missing assignments were commended with a certificate and presented a gift certificate for Taco Bell. Fourth graders who worked hard to achieve Merit Roll and Honor Roll were also recognized with a certificate and awarded a gift certificate to Taco Bell. As students left the gym, they were challenged to see how many could attain a “no missing work” certificate for the third quarter. Pictured are several of the many students recognized at the ceremony. According to this post from Brownfield Ag News, Darke County is the #1 producer of corn in the state of Ohio. They reference numbers recently released by the National Agriculture Statistics Service that says Darke produced 16.5 million bushels of corn, besting second place Wood County who produced a total of 15.8 million bushels. You can find a ton of other statistics at NASS' site. ...to meet the firefighting and emergency response needs of fire departments and nonaffiliated emergency medical service organizations. Since 2001, AFG has helped firefighters and other first responders to obtain critically needed equipment, protective gear, emergency vehicles, training, and other resources needed to protect the public and emergency personnel from fire and related hazards. Congratulations to those involved. You can find out more about the program by clicking here. Click here for a complete listing of award winners from around the country. David and Roberta Feltman of Greenville have graciously committed funds to cover the cost of transportation when DCCA initiates its newest form of promoting the arts, “DCCA On The Road.” While Darke County Center for the Arts is proud to present many high quality professional artists and a variety of art forms in our community, there are some things that can’t be successfully presented at St. Clair Memorial Hall due to stage limitations, flooring requirements, and other factors. “DCCA On The Road” is being introduced to provide opportunities for those who wish to attend performances that cannot be presented locally. The first road trip will be to Carmel, Indiana to see a world-class contemporary dance company from New York City. Parsons Dance will be performing at the Tarkington Theatre at the Center for Performing Arts in Carmel on Saturday, June 23. 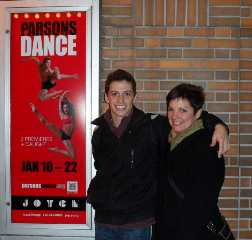 Parsons Dance tours nationally and internationally and is comprised of ten full-time dancers. In addition to touring an average of 32 weeks per year, Parsons Dance has been showcased on PBS, Bravo, A&E Network, and the Discovery Channel, receiving high acclaim and rave reviews. At the Tarkington Theatre, the dance company will be performing choreographer David Parsons’ signature piece, “Caught,” and his original dance musical, “Remember Me,” featuring ten dancers, two vocalists, beautiful orchestral music, lighting and sound. Tickets for the “DCCA On The Road” trip to Carmel, Indiana on June 23 are $60, which covers the cost of the show and transportation. A coach with seating for 24 will leave the Greenville Kroger parking lot at 3:00 pm. 5:00 Dinner reservations have been made at Mangia Italian Restaurant. Dinner cost is not included in the ticket price. Parson’s Dance performs at 8:00 pm, with anticipated coach arrival back in Greenville by midnight. Seating on the coach is limited and tickets must be reserved in advance with payment received by May 15 to ensure your place on the coach and at the theatre. Contact DCCA at 937-547-0908 or DCCA@CenterForArts.net for information and reservations. 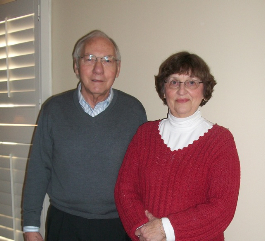 Thanks to David and Roberta Feltman for supporting DCCA’s latest endeavor to promote the arts. Winter Day Camp a Success! Several local kids spent their President’s Day off school at the Darke County Parks Nature Center for Winter Day Camp. The weather was mild and the kids got to spend a lot of time outside getting “lost” in the woods. We followed a game trail deep into the woods of Shawnee Prairie Preserve and looked for signs of animal activity. As we headed toward Mud Creek, we found evidence of beavers! In the Nature Center, the kids got creative and made their own “Nature in February” poster. The campers then headed back outside in search of a log to make a natural bird feeder. Holes were drilled in the log and then they filled them with suet and bird seed. What a treat the birds will have! The kids were playing winter Bingo when their parents came to get them, and none of them were ready to leave! Thanks to everyone who came out for Winter Day Camp, what a great day! For information on other programs offered by the Darke County Park District, please call the Nature Center at 937.548.0165 or visit our website at www.darkecountyparks.org. As this is written, the weather is a balmy 45 degrees. Not bad for a February in the Miami Valley. I am sure most of us will take this right up until spring. However, winter is not over yet and the possibility is still there for some severe weather. We will keep our fingers crossed. Things are moving along nicely in the County so far this year. All of the Elected Officials are working within their established budgets, as is the Commissioner’s Office. We constantly state how fortunate we are to have such dedicated and conservative Department Heads. As things continue to hopefully improve financially for the County, we will all continue to use the dollars we receive from you the citizens, as wisely as we can, and still maintain an excellent level of service. One problem we see on the horizon is the loss of funding for 911 services. Right now, the county sees a $.28 per month charge for cell phone usage. This brings in an estimated $115,000 dollars a year. This amount along with the money from the County General Fund ($653,335.00), assures 911 operations. The $.28 per month charge will sunset on December 31st, 2012 if it is not renewed. This will have an adverse effect on our ability to meet the mandate for the “Next Gen” system of 911. The upgrade to the “Next Gen” system will cost approximately $500,000 to $600,000 dollars. As most of you have heard by now, we are proposing a ¼% sales tax, to be voted on by you the public, to help offset the loss of funding if Columbus cannot come up with a solution. All three Commissioners will be available to talk to any and all groups of people to explain this complicated situation. Please contact us if you wish to have one of us speak to your group or neighborhood about this situation. This request for funding is completely up to you, the citizens, to decide, so we want the public to be as informed as possible. Later on, we will have articles in all the local papers explaining how this money will be spent. On the economic front, Darke County continues to be a leader in the Dayton Region for Expansion and Retention efforts. At the Partnering for Progress (P4P) breakfast held at the Brick Room of the Brethren Home on Friday, February 17th, Marc Saluk, the Economic Development Director, gave a program on the successes Darke County is having. As of now, 22 companies have some sort of project on the table, either for this year or in the future. With more than 650 plus jobs added in the last year, Darke County is leading the region in economic development. Marc has assured all of us that the future looks bright for us, and we will continue to assist our companies in their continued growth and expansion. One of the bright spots of the morning was naming FramGroup as the “Business of the Quarter.” As of this writing, FramGroup has almost doubled their workforce. Congratulations to everyone involved at FramGroup! One area of concern is workforce development. This problem is being tackled at the Governor’s Office as his top priority. This is also one of our top priorities this year. Marc and the Greenville Tech School are partnering with local businesses to develop a curriculum to assure our businesses have a steady and reliable supply of workers to fulfill their open positions. Once again, Darke County is leading the way on this. Many thanks should be given to the Greenville School system for their eagerness to get on board on this project that will benefit the entire county. Not only will students be involved, but adult workers can also take part in this effort. To reiterate, this is a County wide effort, not just for the City of Greenville. This effort truly shows that “Partnering for Progress” is a lot more than just a catch phrase for us, it is a reality. The Commissioners meet publicly every Monday and Wednesday at 1:30 p.m. in the Commissioner’s Office, at 520 South Broadway in Greenville. Hope to see you there! Jeff Besecker, Ozro & Rays and sponsor of the event. Downtown Greenville is experiencing a re-birth of entrepreneurs embracing the community’s distinct assets and flavors. The rise is due in part by the local food movement, where local collaborations are being made everyday. To highlight these relationships, Ozro & Rays and Main Street Greenville have organized a Culinary Tour as the theme for ‘First Fridays’ on March 2 from 6:00-9:00 pm. As a special feature of ‘First Fridays’, the Culinary Tour will highlight 10+ businesses growing roots in the downtown community. Guests will eat and sip their way through the dynamic district that is on the rise with a new generation of entrepreneurs. The tour will consist of many small groups guided by energetic foodies and downtown connoisseurs. Each group will visit participating downtown establishments highlighting amazing fare one would not know existed in Darke County. The Culinary Tour is a ticketed event with only 100 tickets available. The two hour guided tour will start promptly at 6:00 pm leaving plenty of time to take in other fine establishments in the historic business district including AMS Uniform, Artifacts, Ink., The A&B Coffee & Cake Co., The Bistro Off Broadway, The Bootery, Brenda’s Beanery, The Coffee Pot, D’Alessios, Danny’s Place, The Ivy League, KitchenAid Experience, The Little Italian Café, Merle Norman, Third Street Market, Readmore’s Hallmark, Romer’s Catering, and Youniques. Tickets are $10 and available at The Coffee Pot, Readmore's Hallmark, Third Street Market, The A&B Coffee & Cake Co. or on-line at www.DowntownGreenville.org. Tour details including the starting location are available on the ticket. Each first Friday from February to December, downtown businesses extend their hours to embrace the evening atmosphere much like a dense urban center–making downtown the place to be on ‘First Fridays’! ‘First Fridays’ is presented by Main Street Greenville, a non-profit organization committed to stimulating and supporting revitalization efforts, historic preservation and economic growth in Historic Downtown Greenville. To learn more, visit www.DowntownGreenville.org or call 937-548-4998. State of the Heart Hospice was recently re-accredited by The Joint Commission Accreditation On Homecare. With offices in Greenville, Coldwater and Portland, the non-profit agency cares for patients and families who are confronting a life-limiting illness. The Joint Commission is an independent, not-for-profit national body that oversees the safety and quality of health care and other services provided in accredited organizations. “This accreditation follows an intensive four day review of our agency,” explained Elaine Seger, Director of Clinical Services for State of the Heart. “The Joint Commission accreditation reflects the fact that State of the Heart meets and adheres to the highest standards in providing hospice care.” Since 1999, State of the Heart has been accredited by the national body. A survey is conducted every three years. The Joint Commission works to ensure that its standards, requirements and measures are always clear, relevant and focused on improving health care quality and safety, according to a Joint Commission spokesman. The Joint Commission seeks out rigorous evidence to guide judgments about where a particular bar should be set to improve patient outcomes. The accreditation, she added, reflects that State of the Heart maintains high level standards “assuring the very best in patient care.” State of the Heart Hospice has provided hospice care to area communities in eastern Indiana and western Ohio for more than 30 years. More than 11,000 patients and their families have received hospice care and bereavement support. 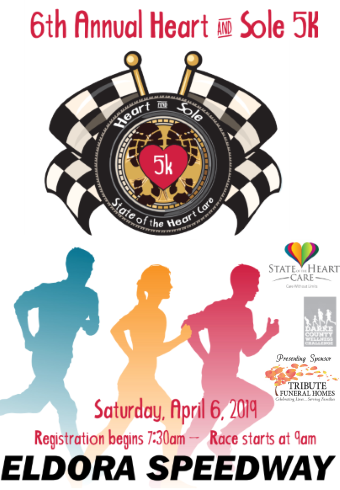 For more information about the services provided by State of the Heart Hospice, visit the agency web site at www.stateoftheheartcare.org. Friday Night Movie "The Encounter"
We will be showing the movie "The Encounter" @ Triumphant Christian Center on Friday, Feb. 24th @ 6 p.m. We are located @ 1129 Southtowne Court in Greenville. We are behind Hansbarger's Appliances on 49 South. This movie is open to the Public and free. We will be serving popcorn & drinks. Come and join us for a night of fun & fellowship. Please click here to see the previews (trailer) of this movie. 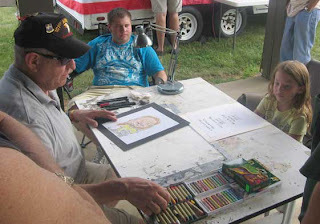 Paul is seen drawing portraits at an event. The Greenville Public Library is now partnering with Main Street Greenville for the 2012 “First Friday” season. The first Friday of each month features a different theme with downtown events and tours. The Library will participate by welcoming the public to a special program from 5:00 to 6:00 at its location at 520 Sycamore Street. The first of such programs will be an drawing class by local artist Paul Ackley on Friday March 2nd. Paul is an award-winning cartoonist whose work appears in the Daily Advocate on a regular basis. The class is open to budding artists from ages 9 to 99. But he does need to limit the class to 20 people. Please call the Library at 548-3915 and ask for Deb – she'll take your reservation. All drawing supplies will be provided and the class is free of charge. Hope to see you there – and at all the “First Friday” events throughout the year! Dining with Diabetes will be offered on Thursday, April 19th, 26th and May3rd at the OSU Extension Learning Center, 603 Wagner Avenue, Greenville, Ohio. The class fee is $30.00, which covers the food for demonstration and tasting, recipe booklets and other educational materials. Pre-registration and payment are required. The deadline is April 13, 2012. Instructors for the course are Diane Barga, Program Coordinator, Ohio State University Extension, and Karen Droesch, Diabetes Educator, Wayne Hospital. DeColores Montessori Information Night: Tonight! Is Montessori the right choice for my child? What is expected of my child and my self as a DCM family? How does Montessori differ from the typical public education experience? GREENVILLE, OH (February 22, 2012) – The YMCA of Darke County officially kicked off its Annual Community Support Campaign on Thursday, February 16th. The Annual Community Support Campaign is the Y’s main fundraising effort to secure funding for its Scholarship Assistance Program as well as subsidize mission-based programming. Financial support from the community keeps the Y available for kids and families who need us the most. These programs include membership, health and wellness programs, Day Camp and childcare. We count on the generosity of our members and community to help people of all ages and from all walks of life to be more healthy, confident, connected and secure. When you give to the Y, your gift will have a meaningful, enduring impact right in your own neighborhood. This year’s goal is to raise $60,000. The Campaign kicked off with $21,882 already pledged or received due to the generosity of the Board of Directors, Y staff, and local businesses. “We are so fortunate to have a strong Y in our county,” states Eileen Litchfield, Annual Campaign Vice Chair. “I love seeing people of all ages using it!” This year’s theme is “It’s a Brand New Day”. The Y is the unparalleled cause for strengthening community because we ARE the community. We are a powerful association of men, women and children joined together by a shared commitment to nurturing the potential of kids, promoting healthy living and fostering a sense of social responsibility. The Annual Community Support Campaign will conclude on Thursday, April 12th. To learn more about the Annual Community Support Campaign or to make your tax-deductible gift, contact Gail Hostuttler, Executive Director, at 548-3777, ext. 22; Jeff Kniese, Annual Campaign Chair; or Eileen Litchfield, Annual Campaign Vice Chair. The YMCA of Darke County is a non-profit membership association of over 4,700 members with facilities in Greenville and Versailles. The mission of the YMCA of Darke County is to develop the whole person – spirit, mind and body – through character development programs that reinforce Christian principles and that build strong kids, strong families and strong communities. 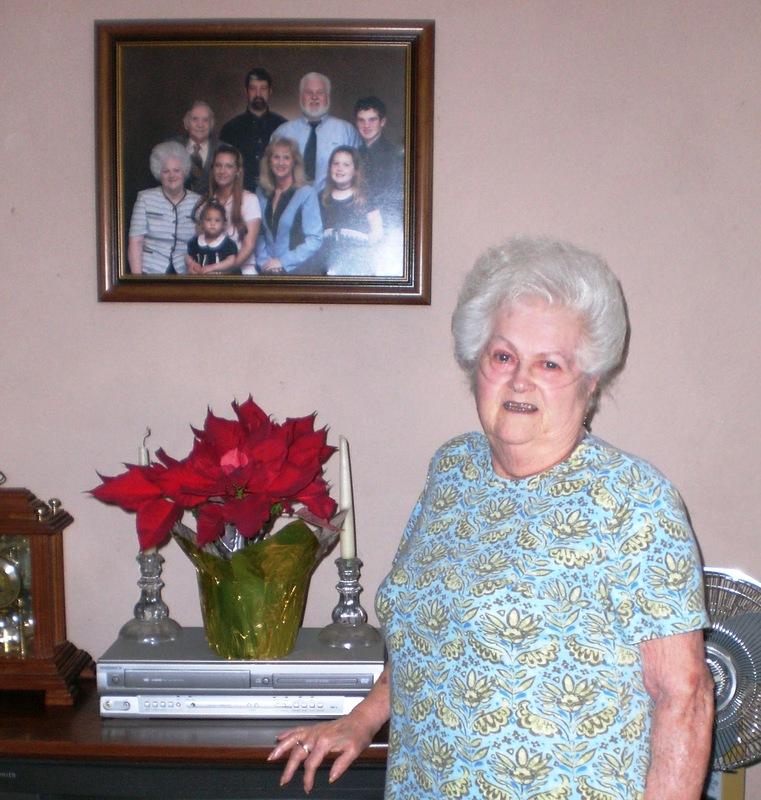 Seventy-eight year old Arcanum resident Wanda Simpkins exemplifies what State of the Heart Hospice strives to do in providing hospice care: She is able to stay in the house she has called home for nearly 50 years. Diagnosed with a lung disease, she said her doctor advised her to contact State of the Heart Hospice to help in her care and to assure she could remain in her home where she is most comfortable. As a hospice patient, she has regular visits from her nurse Sheri Fleming, her hospice aide, Jodi Anderson, and enjoys the company of two volunteers, Mary Brennan and Tara Macy. For more than 30 years, State of the Heart Hospice has provided care to patients and families in eastern Indiana and western Ohio who are confronting a life-limiting illness. The agency has offices in Greenville, Coldwater and Portland. Every morning, Monday through Friday, Anderson shows up at Simpkins’ house to help her get ready for the day. “It takes me a while by myself,” Simpkins explained. “I don’t know what I would do without Jodi.” Anderson helps with a bath, then prepares breakfast and tends to any other needs before leaving. Hospice volunteer Mary Brennan enjoys her visits with Simpkins. “It is a mutual enjoyment,” Brennan added, as both women enjoy their visits together. “When I visit, I truly feel I am providing a valuable service.” Simpkins, she added, has a lot of confidence in her nurse Sheri Fleming. “If Wanda is not feeling well, she talks to Sheri who listens carefully, then works to resolve the problem.” Fleming visits Simpkins once or twice a week, depending on the need. The sap is flowing and the fire is roaring in the Sugar Shack, that means it’s time to enjoy nature’s sweet treat. Saturday, March 3rd from 7:30am-4pm and Sunday, March 4th from 12:00pm-4:00pm is Maple Sugarin’ at the Prairie! This early spring weekend at Shawnee Prairie (4267 St. Rt. 502 West) offers guided tours through history and science as we learn the process of turning sap into syrup. After our tour through the woods, we’ll visit the Sugar Shack, where you can warm up in the steam-filled evaporator room as the sap spends countless hours on a boil to reduce it down to syrup. Then head out to the Log House where you can visit with our 200-year-old pioneers and discuss 18th century life. Finally, complete the day at the Nature Center where the gift shop will be full of maple goodies for your sweet tooth! The Friends of the Parks will once again be serving up a hearty breakfast of waffles, sausage, juice, coffee and of course pure Ohio Maple Syrup! Breakfast will be Saturday, March 3rd ONLY, from 7:00am-10:30am. For tickets, call the Nature Center or purchase them from any Friends of the Parks member for a $5 donation. Carry-Out is available. There will also be a 50/50 drawing and a bake sale! As we look to put winter weather behind us and move on to sunny skies and warmer days we must not forget that while we may not have to deal with snow, spring too has its severe weather situations. The Darke County Emergency Management Agency is hosting an annual Storm Spotter Training on Thursday, March 08, 2012 from 6:30 pm – 9:00 pm at 5183 County Home Rd., Greenville. You need to register for the class at www.darkecountyema.org under the training page by 3/8/12. By providing citizens with this education it allows the Weather Service to receive first hand reports of weather conditions from wherever the spotter is located. While “storm chasing” is not advised, reporting from your home, work or car (etc. ), provides valuable information directly to meteorologists making decisions on watches and warnings. With Severe Weather Awareness week coming up March 25 – 31, 2012 it’s a great time to think about preparing ourselves and families for the threat of severe spring/summer storms. If you do not currently own a NOAA Weather Radio consider purchasing one. These radios are programmable with voice and/alarm modes that will notify you, your family or your business of impending severe weather any time of day. Pictured from left to right: (The Kremers) Back row: Maria, Nancy, Dan, and Ben. E.A.T. Food for Life Farm is home for Dan Kremer, Nancy, his wife and their six children. After completing two degrees and working 12 years in corporate America, he states that he had finally been purified to the point of discovering that God was calling him out of a corporate, urban lifestyle in Dayton to a simple, rural way of life. Their certified organic family farm is 140 acres of crops, woods, pasture, and a pond located in northern Darke County. The support group meets the first Thursday of each month at Wayne Healthcare on the third floor in the conference room from 7 p.m. till 8:30. The public is invited. 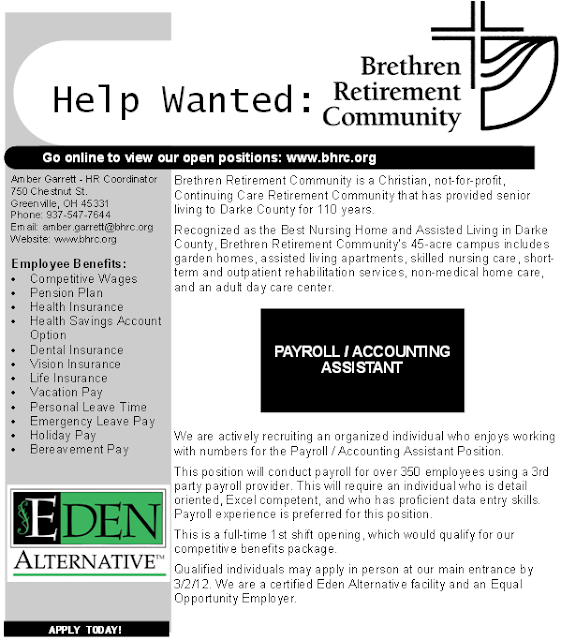 Brethren Retirement Community is currently seeking a highly organized person who enjoys multi-tasking and directing incoming and outgoing communications. We are looking for an individual with a flexible schedule that will accommodate the needs of the Support Staff Telecommunication Associate position we have available. The hours and shifts will vary depending on the scheduling needs of the department, which would be on an as needed basis. This could range between 1 shift per week to multiple shifts per week, each week will be different. The duties of this position will include, but is not limited to the following: phone calls, basic computer skills, greeting and directing all visitors, and interaction with staff and residents. Qualified individuals may apply in person at our main entrance by 2/29/12 at 750 Chestnut St. Greenville, OH 45331. We are a certified Eden Alternative facility and an Equal Opportunity Employer.